Week 6 is our first THROWBACK week for RadioHeads. This album will encompass all of our remixed radio tracks, including some from past years. Since we’re re-releasing this old material, we’re giving ya 2 tracks for the price of 1 Monday. 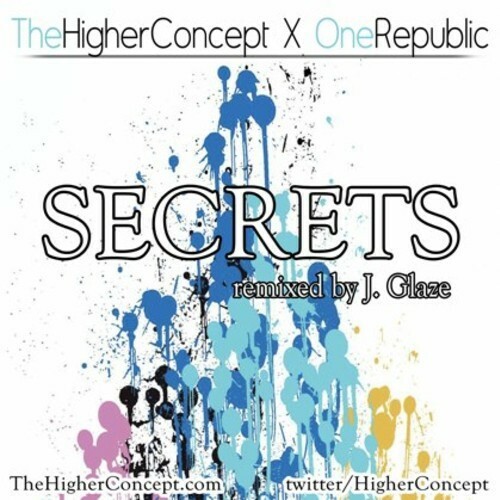 This time we went in on One Republics hit single “Secrets”. The worlds going crazy and everything has become reality TV. There’s no such thing as secrets anymore. We took a billboard track and flipped it on you. A couple months after we released the track, we got hit up by Sayuri asking if she could use our remix for one of her videos. Check out what she sent us back below!! We recorded the video at your average House of Dreams party on Staten Island, NYC. Last March we visited Austin, Texas for SxSW. We rocked a couple shows for the festival, saw some amazing music, rocked out on the streets of Austin, and spent an amazing week on our friends farmhouse about 30 minutes outside of Austin. During our time there we recorded this live remixed version of Wonderwall by Oasis. Enjoy!! As a follow up to our feature length album Everybody, The Higher Concept is announcing the release of a new “indie-rock remix” project entitled RadioHeads. THC has carefully chosen some of the best hits that modern day indie-rock radio has to offer and remixed them to add room for some heady and introspective hip-hop lyrics. RadioHeads will feature both audio and/or video releases off the project every Monday until the full project has been unveiled. Be sure to check in on our websites every Monday for the next 2 months to hear all the new material from the project!! In March we visited Austin, Texas for SxSW. We rocked a couple shows for the festival, saw some amazing music, rocked out on the streets of Austin, and spent an amazing week on our friends farmhouse about 30 minutes outside of Austin. During our time there we recorded this live remixed version of Wonderwall by Oasis. Enjoy!! What happens to a Princess in China? I have no idea why the original song is called that. I do know that Coldplay and Rihanna show how powerful of a metaphor a star can be and what it’s like when someone’s star gets stolen. In our version of the song, Tekst is going through it, dealing with a break up and that feeling of loss… Hang on to your stars people!! DOWNLOAD THE FILE NOW ON OUR BANDCAMP! Well… the “house is falling apart” in our second single from RadioHeads. 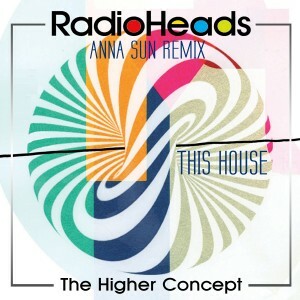 The Higher Concept has remixed the pop hit Anna Sun by Walk The Moon for your listening/viewing pleasures. Walk the Moon knows that when things fall apart, you gotta rebuild. The Higher Concept follows this mantra at our place of residence, the H.O.D. (House of Dreams) Take a trip with IB over to Home Depot and get your remodeling projects going. NEW VIDEO DIRECTED BY (AND STARRING) MATTY J! Up first we have a remix of Passion Pit’s, “Take a Walk” featuring a video of Matty J’s verse from the record, filmed by Tekst and edited by Matty J. Passion Pit wants everyone to know that sometimes when things get crazy you just gotta walk it off. We here at The Higher Concept feel the same SO take a little walk through the streets of Staten Island with Matty J and his best friend Banksy and cool off a bit. No seriously.. calm down. THC x MISSY MODELL – “RUNNIN AWAY” OFFICIAL VIDEO! Here’s the super-crispy visual for THC’s “Runnin’ Away” ft. Missy Modell, produced by J. Glaze and directed by Brian Petchers!! Check out EVERYBODY on iTunes! Here’s a sneak peak at THC and Missy Modell putting together “Runnin Away”, the next single off THC’s album “Everybody” (available on iTunes HERE). S/O to producer J. Glaze for hitting another home run! THC – Everybody (ft. D1) OFFICIAL VIDEO!! “Everything” was shot all over New York City by the amazing Evan Brockett with a little assistance from Melissa Wu, Alejandro Urrego & Danny Satterfield. This is our homage to our favorite Beatles album, Sergeant Peppers Lonely Hearts Club Band. 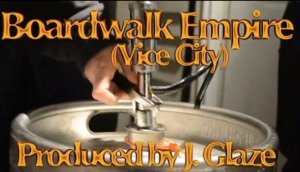 Check out the album cover at the end of the video! Everybody will be available for purchase on ITUNES on April 17th! Enjoy!